Construction comes with over a dozen different design elements, i.e. blocks. Each block contains sample data which allows you to customize it more easily. 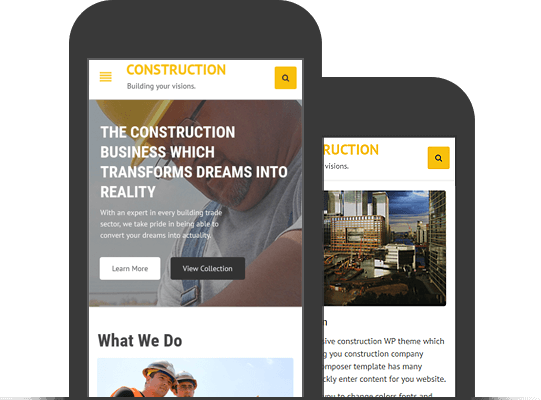 Your Construction theme is designed to look great on whichever device your visitors end up using. Desktop, phone, tablet… anything short of a potato. Insert blocks by dragging them onto the page and inserting into the location you want. Click and drag the “Move” button to make further adjustments. Newsletter block makes it easy to collect emails from visits. Choose between several different provides: MailChimp, Feedburner, FeedBlitz and Aweber. In case you ever run into problems, our skilled staff will be there to help in Helpdesk. Use popular WordPress plugins such as WooCommerce or WordPress SEO to enhance your Construction site even further. This theme is coded per best of the SEO practices. Not only that, this theme also supports the best, free SEO plugins available today such as WordPress SEO, All in One SEO, Google XML Sitemaps and All In One Schema.org Rich Snippets , so you can have best of both the worlds. 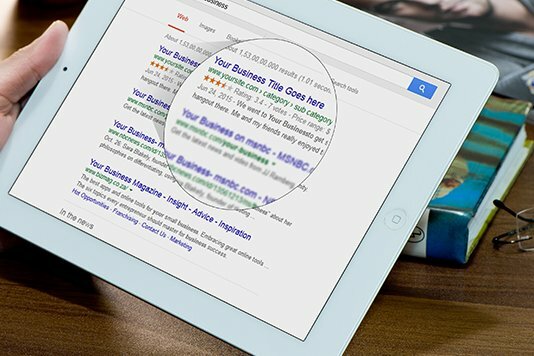 By utilizing free plugin like All In One Schema.org Rich Snippets, you can really take your site SEO to a new level. Your Construction site in ANY language! This theme is compatible with some of the most popular WordPress plugins. 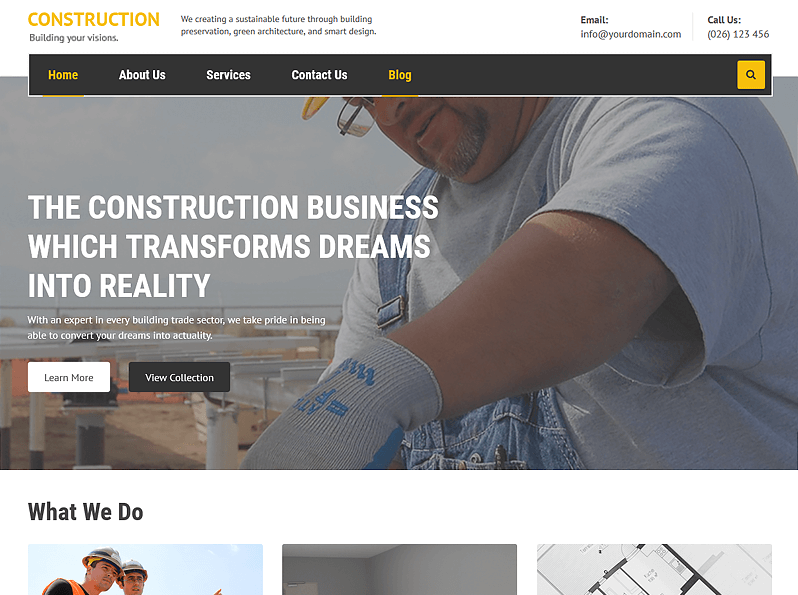 Take your Construction website to the next level. 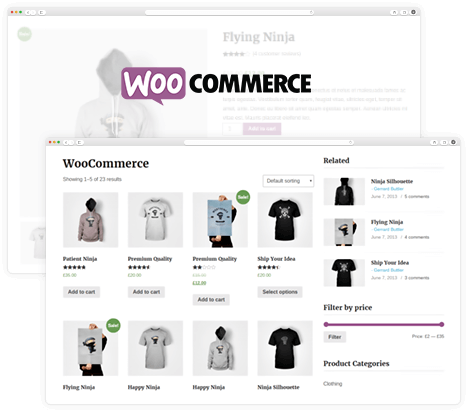 This theme is tested and works great with WooCommerce – a free e-commerce plugin in WordPress. 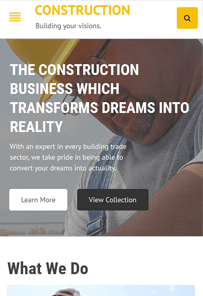 Simply means you can create an online shop on your Construction site. With WooCommerce, you get super-easy store management, extensive tax and shipping options, massive selection of extensions and lot more. Create a shop on your Construction site!